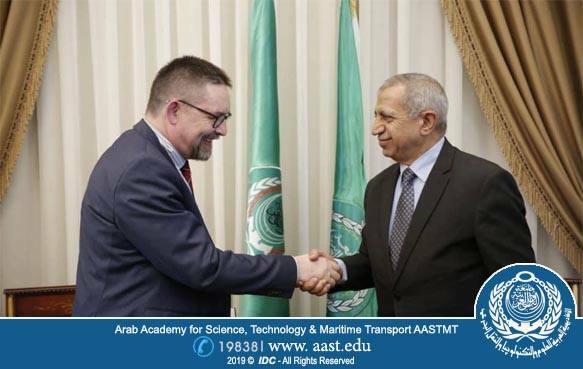 H.E Prof. Dr. Ismail Abdel Ghafar Ismail - President of the Arab Academy for Science, Technology and Maritime Transport (AASTMT) has received University of Bradford Delegation on Wednesday 10- 4- 2019, at AASTMT AbuKir Campus, where the delegation discussed the methods of cooperation in areas of mutual interest, especially in the field of pharmacy, as that comes within AASTMT role and efforts to raise the educational level to meet the international standards. Bradford University is a British government research university located in Bradford, West Yorkshire, England. The Royal Decree was issued in 1966 to establish University of Bradford but its origins date back to 1860.. For almost 50 years of academic excellence, Bradford University gained its international reputation and increased the offered disciplines. 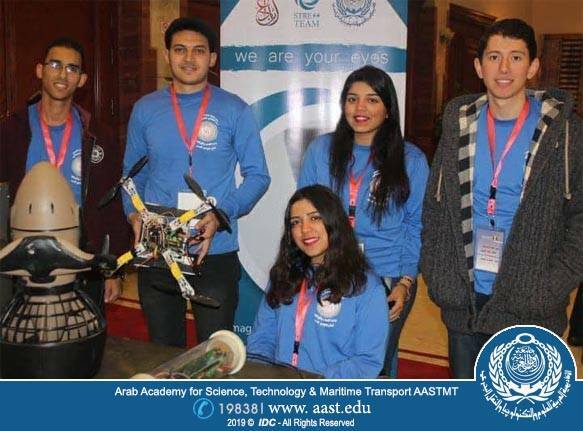 The University has always been a leader in the development of new subjects according to the needs of employers, students and society as a whole.